To start, take the ribbon and cut 5 pieces to the width of the cork board. 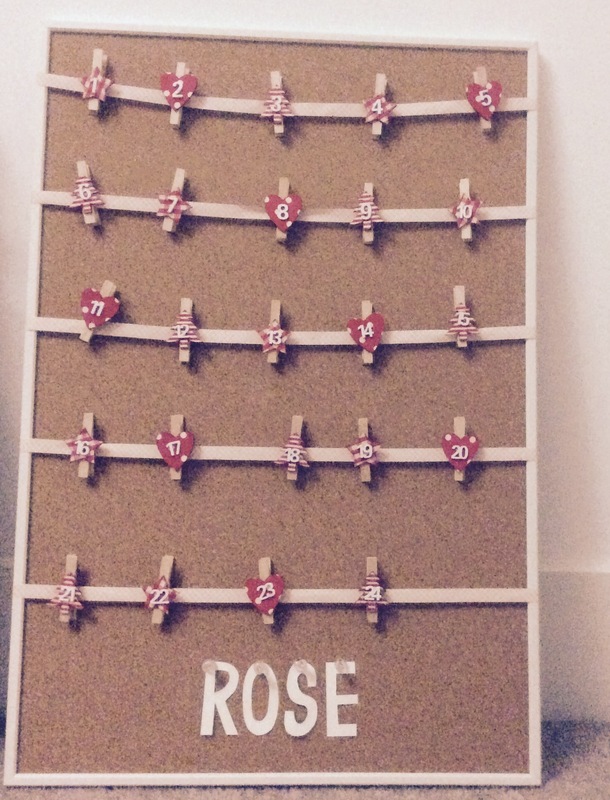 Then spread these evenly down the board, Using the drawing pins, pin the ribbon on the positions you’re happy with. The next thing to do is position your pegs, I opted for some advent calender specific ones, but you could DIY the pegs too! Then of course the filling, this could be anything from things that make you smile to a daily treat, the great thing is you get to choose!